Give your lab a new competitive edge, and explore the advantages of going digital with DDX. It’s a more intelligent, efficient way to manage your casework that’s also easy to implement and surprisingly affordable. … that will streamline your lab prescription workflow, eliminate common errors, improve communications between your lab and your customers and help keep patient information safe and secure. 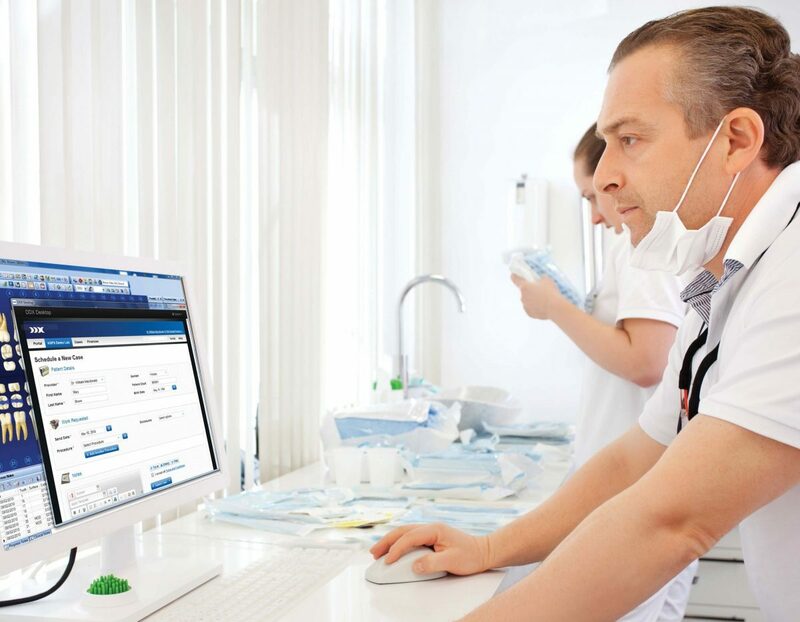 DDX is a web-based service that makes your lab more productive and competitive by eliminating paperwork, bringing all the files and information you need to complete cases together into one convenient location and opening fast new lines of communication with your customers. Customized online case submission forms make it easy for you to collect all of the information you need from your customers to complete cases. A complete list of procedures offered by your lab appears automatically, with the most common procedures appearing near the top. Intelligent, adaptable prescription forms automatically display all of the required and optional information for specific procedures. 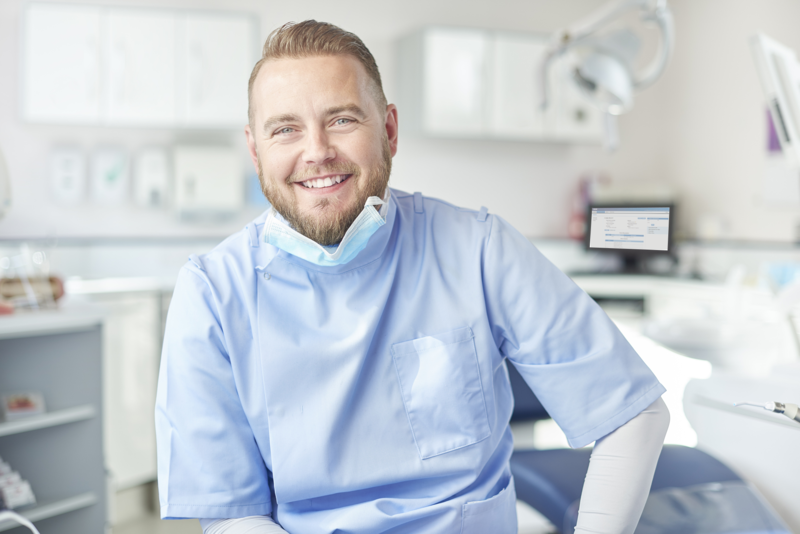 A convenient “Add Procedures” function makes it easy for your customers to add multiple procedures to a single case. Instant two way messaging makes it easy for your customers to communicate with you quickly—and save a complete record of your conversations. Instant confirmation. The moment you receive a case, DDX automatically sends a confirmation and a scheduled return date. Easy file attachment allows practices to quickly attach and upload all kinds of digital files and other types of information. All of these attachments appear together in one convenient window. A convenient online management portal provides information about your incoming and outgoing casework activity from any computer with an Internet connection. An Alerts and Activities window offers useful, real-time information about active cases, including notifications when your customers add new case notes and alerts when cases don’t reach your lab or your customer’s practice on schedule. Electronic pick-up and shipment alerts streamline your operations and keep your patients informed and up-to-date. Detailed case information is available throughout DDX, so you can always get the latest status information and explore other important details about every active case. Complete case archives allow you to search for and access every case that has been entered into the DDX system—whether it was last week or three years ago. Easy integration with the most popular lab management software, including Labnet, Inventrix Labtrac, Magic Touch Software and ABS Evolution. Compatibility and support for leading restoration technologies including 3Shape, Dental Wings, Exocad, PlanMill and more. Smart Envelopes that automatically package and transmit complete cases from leading dental CAD CAM solutions. Increased exposure for your lab with free listings on the DDX lab list for your state and on ddxdental.com. You can also purchase listings in other states to expand your reach and attract new regional or national customers. Free DDX web page and email template that helps you promote your DDX service and send new offers to your customers. Take advantage of the technology you already use. DDX offers fast, easy integration with a long list of lab management software, and it has become the standard for secure digital exchanges. … by sending practices instant confirmations and case return dates while their patients are still in the chair. … with a solution that doesn’t require any extra hardware, software or technical expertise. … DDX uses advanced encryption methodologies (AES encryption) to help you keep your data more secure. Don’t rely on unsecure email and thumb drives. Access all of your casework no matter what happens. Because DDX stores all of your casework information safely in the cloud, you always have access—even if your own systems go down or get damaged. DDX also maintains a complete archive, so you can instantly access every DDX case you’ve ever received. DDX runs on any standard Internet browser, and works seamlessly with lab management systems such as Labnet, Labtrac, Magic Touch Software and ABS. 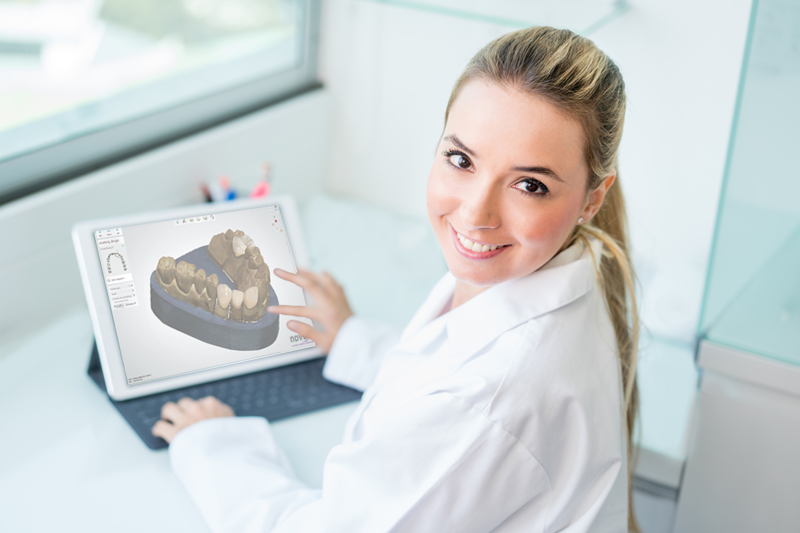 Plus, it features powerful integrations with leading CAD/CAM and milling technologies like Dental Wings*, 3Shape and D4D*, to make receiving totally paperless cases fast, easy and accurate. … with an intelligent online service that makes it easy for your customers to gather, package and double check all of the x-rays, photos and documents they need to complete a lab case. This increases accuracy, streamlines workflows and keeps errors to a minimum. Contact a representative or schedule a free demo today, and explore the advantages of going digital with DDX. Call 877-244-9345 to schedule a demo or speak to a live sales representative. Call 800-565-0923 to contact our customer support team if you’re a current DDX customer with technical questions or problems. Complete this form to have the appropriate service or support representative contact you within 24 hours.